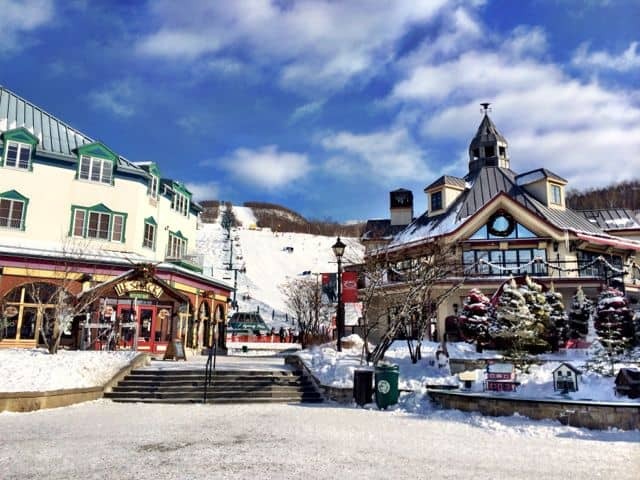 Snow-shoeing on Mont Tremblant in Québec. Canada, the second largest country in the world, is a land of great diversity; from the icy emptiness of the Arctic north to the vibrant metropolises of Toronto and Montréal, and from the vast expanse of the Prairies to the impressive peaks of the Rocky Mountains. I’ve been to six Canadian provinces/territories: Ontario, Quebéc, British Columbia, Alberta, Yukon and Nova Scotia; and there’s so much more of Canada I’d love to see and experience, like spotting polar bears and swimming with beluga whales in Manitoba, wine-tasting in the Okanagan Valley, a helicopter flight over Niagara Falls, joining in the Frozen Mardi Gras in Quebéc City, oyster-tasting on Prince Edward Island or watching the spring caribou migration in Nunavut. 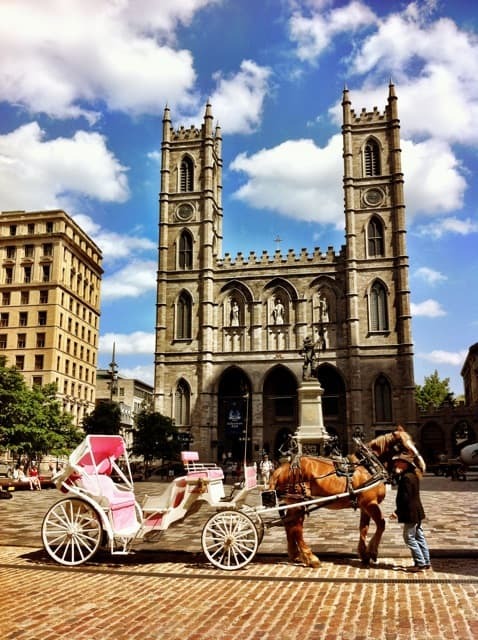 Scroll down to view some of my favourite experiences in Canada to date. Feel free to read more about each experience by simply clicking on any of the 36 (!!) images. Enjoy the great diversity of Canada through my eyes! 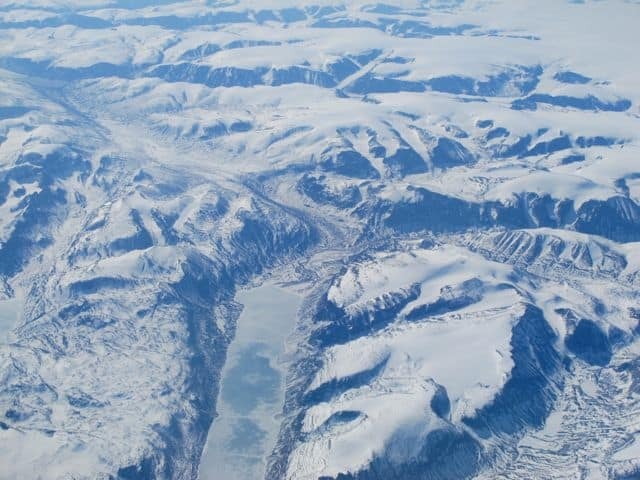 Mountains and fjords of Baffin Island in Canada’s far north. 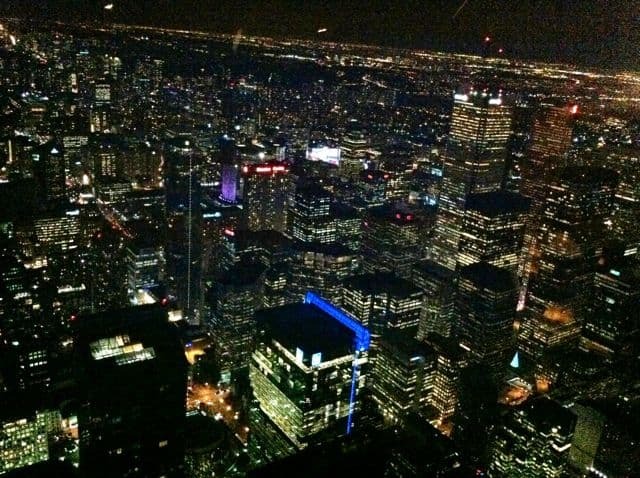 Toronto’s bright lights seen from the top of the CN Tower. 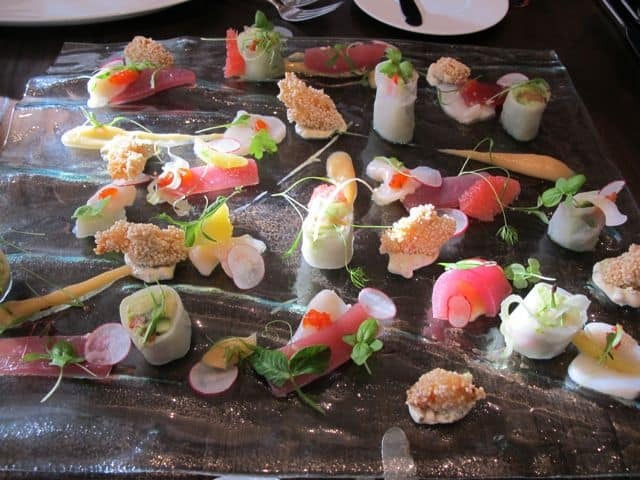 The gorgeous seafood platter at Luma in Toronto, Canada. 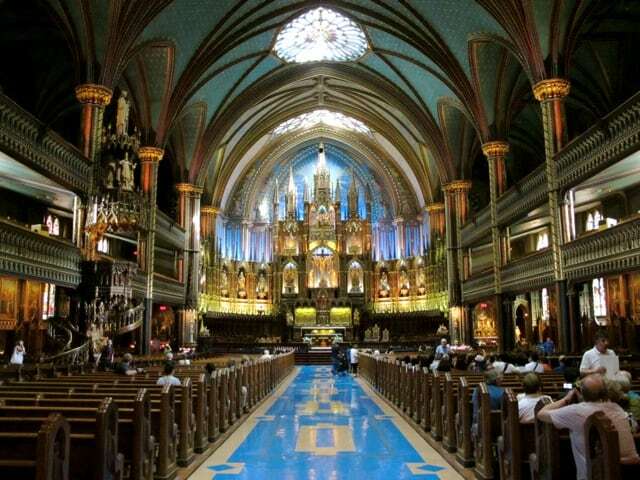 The Notre-Dame Basilica on the Place d’Armes, Montréal. 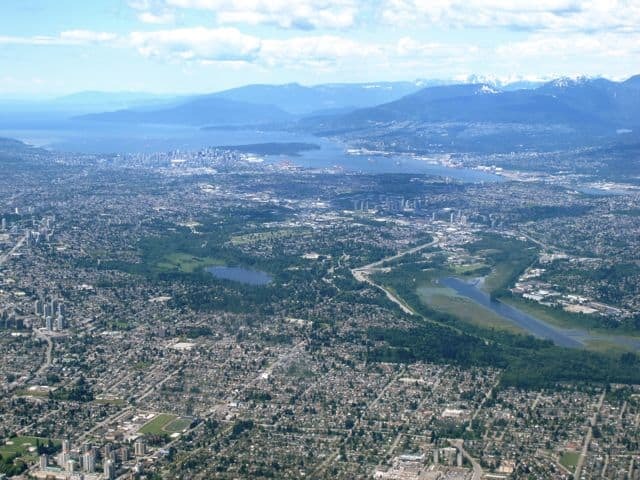 A grand view of Greater Vancouver. A glorious day. False Creek in Vancouver. The freshest salmon sashimi I’ve had in a long time! At Miko Sushi in Vancouver. 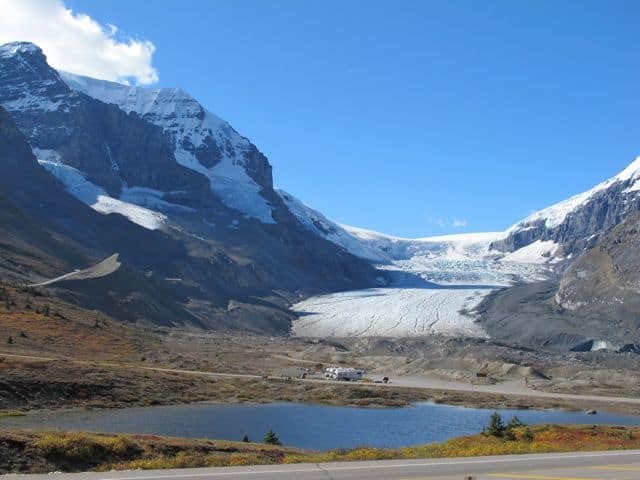 Mount Robson – the highest peak in the Canadian Rockies. On board the Rocky Mountaineer train from Jasper to Vancouver: navigating Avalanche Alley. A picnic on the shores of the Bay of Fundy, Nova Scotia, at sunset. 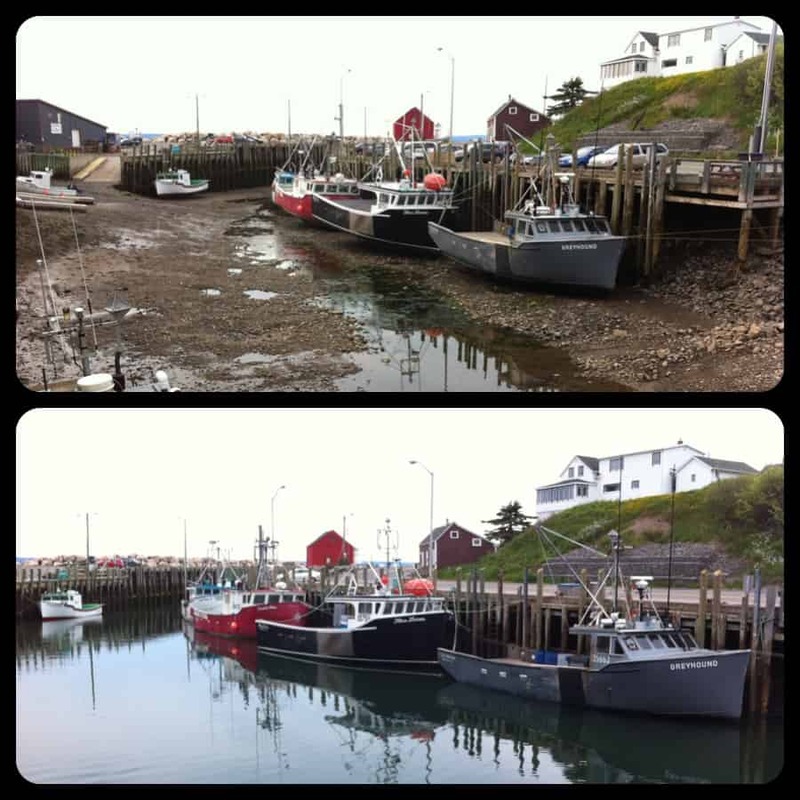 The tidal range within two hours at Halls Harbour, Bay of Fundy, Nova Scotia. The biggest lobster I’ve ever seen! At Halls Harbour, Nova Scotia. 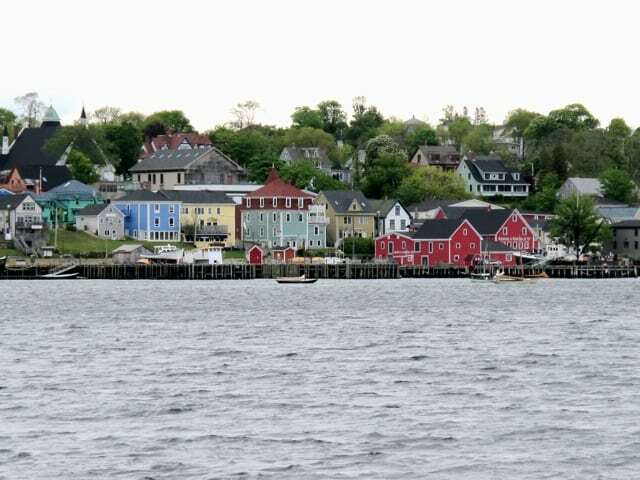 Colourful Lunenburg in Nova Scotia. 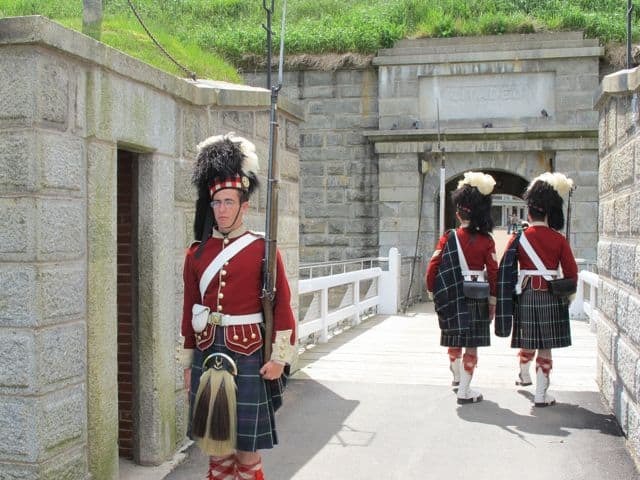 The grand dame in Toronto – the Flatiron Building – with its modern-day guards! Frank Gehry’s Art Gallery of Ontario. Winter fun at Mont-Royal Park in Montréal. Poutine of course! A must in Montréal! The view of Jasper from the top of The Whistlers. 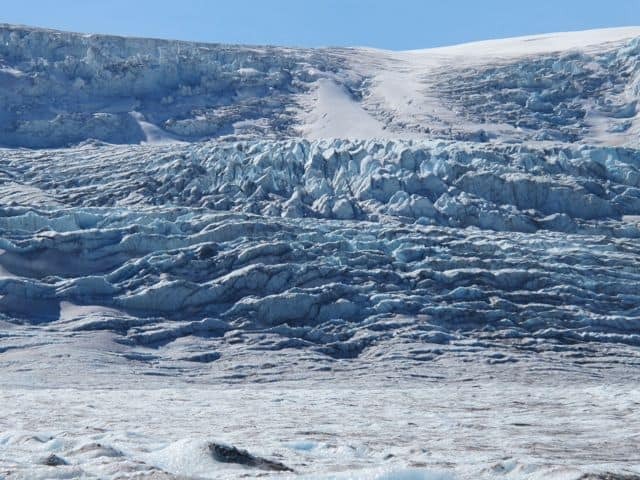 The Athabasca Glacier in Alberta. Lovely Victorian era buildings at the end of Lower Water St. in Halifax, Nova Scotia. Medicine Lake near Jasper, Alberta. Shiny new skyscrapers stand side by side with their older brothers in Toronto. The fabulous crispy duck egg at Four Seasons Toronto. Beautiful mountain scenery from Highway no. 16 near Jasper. 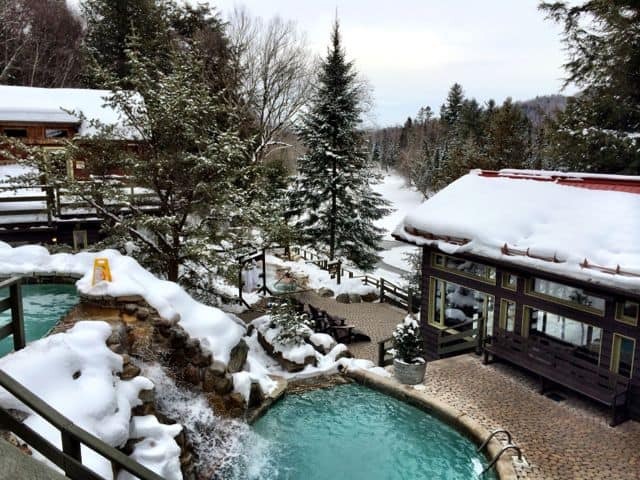 Spa Scandinave Mont Tremblant – the outdoor pools and resting areas. Tasting the fresh, crisp sparkling whites of Lacadie Vineyards in Nova Scotia. 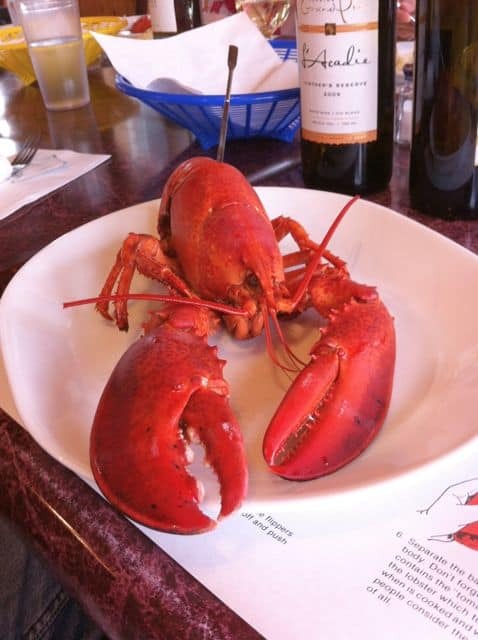 Nova Scotian wines are the perfect pairing with the province’s delicious seafood! 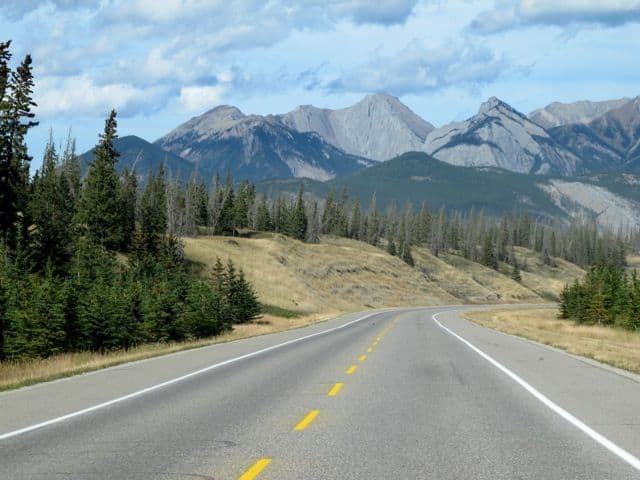 If you’ve reached this far, you might want to check out Canada’s Signature Experiences. 🙂 As for me, I can’t wait to return and experience more of Canada. 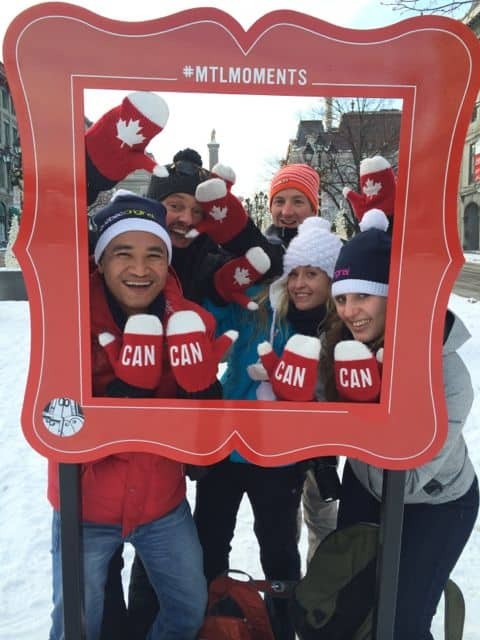 Me and my friends having a ball in a wintry Montréal! Awesome pictures. Very happy to see that Nova Scotia was very well represented. I am a Nova Scotia ambassador! Anything you want to know just ask!! Wow! 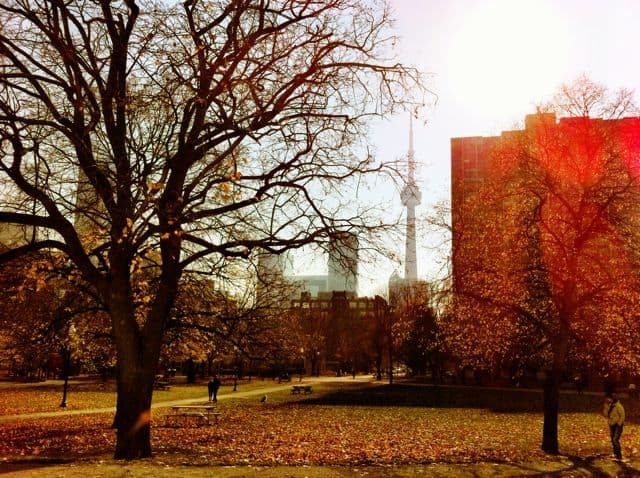 your photos taken in Canada is so amazing! Many nice places and foods to explore in Canada! Your post is well written! 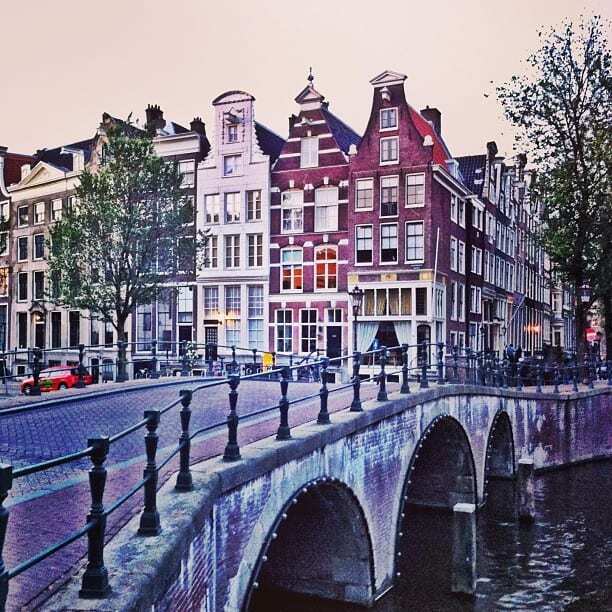 I hope i got the chance to visit there one day! Thanks for sharing this great info to us! Thanks for your comment. Canada offers an amazing array of cuisines but the fresh seafood (the oysters, salmon, tuna, lobster, scallops…) are my absolute favourites! I’ve had some of the best sushi/sashimi in my life in Canada! Lovely! Those photos show Canada’s rich culture, beautiful people and wonderful places. Definitely, it is one of the best places to visit. There seems to be a lot of great things to explore in the place. Got to add it on my bucket list! 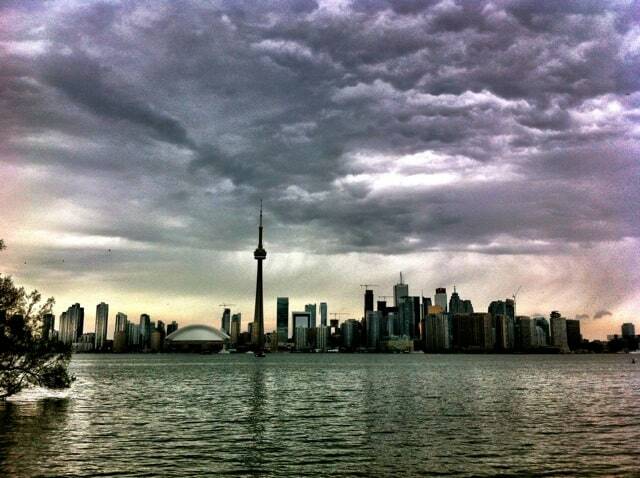 Absolutely love your Canadian photos! And we’d love them even if we didn’t live in Canada :-). 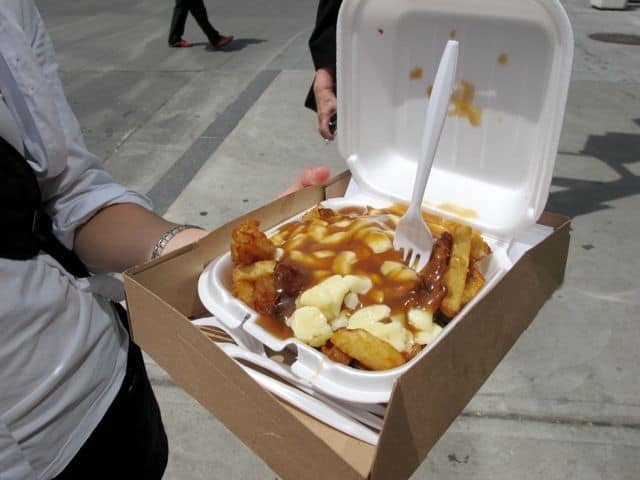 But we don’t want people to think poutine is one of our best food offerings – we’re also known for great salmon and lobster (as you point out). 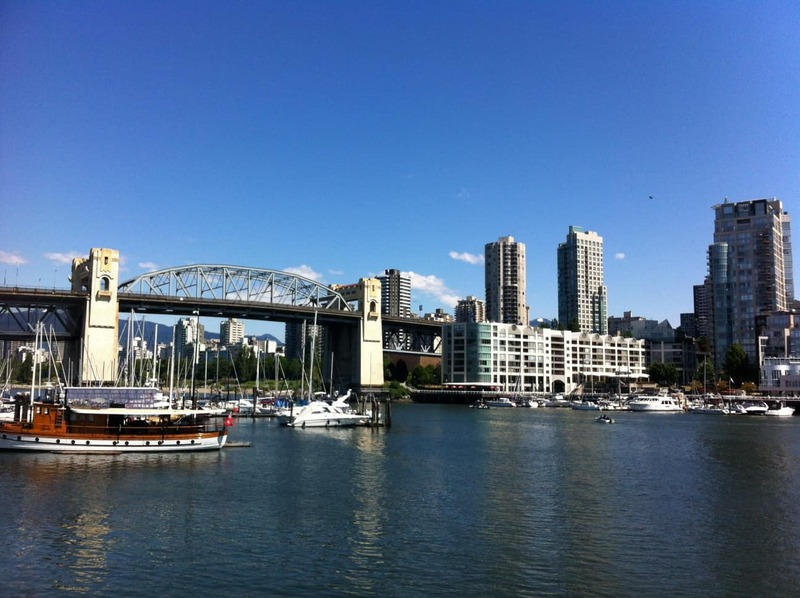 Vancouver and Montreal are quite the foodie cities.